The first track on evidence was “Dark + Long.” It was an elegant piece of Europulse trance. The ambient house vibe played its cards very close to its vest with a subtle, low-energy attack. The relatively slow b.p.m. marked it as a dance track that also had a chill-out factor for those who wanted to lounge while listening. The melodic and rhythmic development on the track made certain that there were new twists every four bars or so. This is critical for me to come to grips with dance music of the last 25 years or so! I am really bored by a loop running for many bars with no evolution or development. Mere repetition loses me quickly as an engaged listener. As I suspected, this was more redolent of what occurred when musicians dabble in machine music as opposed to tourists. I immediately loved the track, which had a lovely vocal presence from Karl Hyde throughout its 7:36 length, which didn’t feel padded out at all. Nice. I heard the first guitars of the album on the next track, in the long, shimmering intro to “Mmm Skyscraper I Love You.” There were also environmental sounds, until the song’s sturdy, relentless beat commenced at 0:50 and didn’t abate for quite some time. The vocal here from Hyde revealed that he’d lost none of his inscrutable lyrical verve that I had come to know and love in Freur. The lyrics here were a series of abstract couplets that strove for a vivid gestalt rather than coherence. The track had a groove that would not quit with overlays of dubbed out drum machine fillips and occasional guitars rubbing shoulders with the synth and rhythm loops. By the 7:30 point, the fever began peaking with an insistent synth hook juxtaposed against Hyde’s increasingly forceful delivery of the lyrics. The fever broke at the 9:15 mark to mutate into a chilled out coda that really, functioned as the next track segued into “Skyscraper” as far as I saw it. The coda almost had a dub reggae feel with a serpentine guitar lick used most rhythmically. This 13:09 track earned its playing time pretty effectively. So far, so good. I can’t say the same for “Surfboy,” which felt padded out at 7:34. This could be the B-side of any anonymous progressive trance 12″ pulled at random from a milk crate in a DJ specialist shop. Completely lacking in character, it was a real come down from the very distinct and vivid artistic point of view on evidence on the first two tracks. Letting Emerson run riot without Hyde to add the necessary element X to the mix here was a bad idea, in my opinion. This was exactly what I was afraid of hearing from Underworld MK II. “Unfortunately, “Spoonman” didn’t make up for it. I really hated the ring modulator abuse on the vocal intro. It reminded me of one of my least favorite techno cuts in my Record Cell, The Guy Called Gerald mix of Bowie’s”Telling Lies.” The repetitive and manipulated vocals strove to make me disengage from this track. After 2:30 Hyde made his appearance on vox, and that worked better for me. But the track was still shot through with Hyde moaning through a ring modulator filter. That really grated with me. The track just didn’t seem to attain the integrity that the first two tracks effortlessly achieved. This could have been cut down to five minutes with most of the first third edited out, and I might have liked it more. Then, the fifth cut [“Tongue”] appeared and it was definitely the pivot point for the album. Gone were any loops, or even rhythms. This was just Hyde singing with his spaced out guitar, with some foley effects added for atmosphere. It was a real break with everything that had come before and a great midway point for the album. If anything, it sounded like the long lost track left off of Pink Floyd’s “Wish You Were Here.” Just scant hints of synths were there in the background until the song’s midpoint, where a rhythmic synth hook appeared. This one was a real left field winner with me. Five blissful minutes of this just made up for the previous 15 minutes of the album. 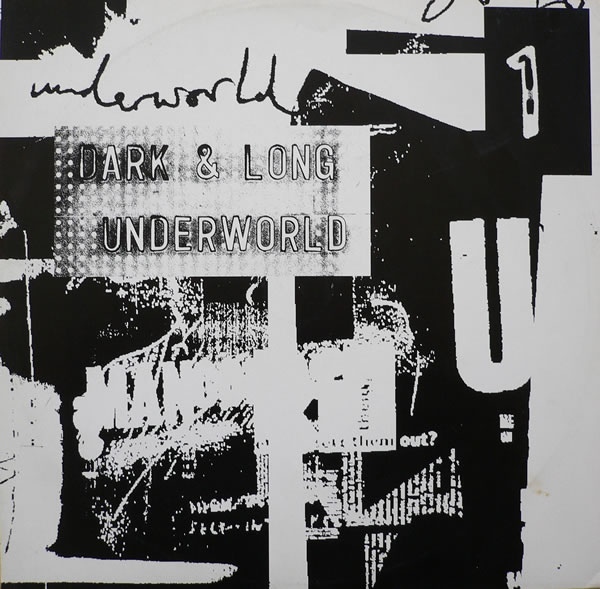 This entry was posted in Record Review and tagged 1993, Dubnobasswithmyheadman, techno, Underworld. Bookmark the permalink. I don’t really agree with your assessment of Sufboy Monk. It actually reminds me of some early 80’s dubby/trancey tracks by bands like A Certain Ratio. Yes it is built for escape on the dancefloor, but I find it very “listenable” as well. Yes there are some cheesy effects about midway through the track, but there is also a melody trying to rise to the top and that creates a bit of tension in spaces that I enjoy. Spoonman is much more of a “period” track and abuses some of the same ambient/techno clichés of its contemporaries. This is one of the obviously target tracks to the druggier element on the dancefloor. Tongue’s programing, mid-way through the album is like a nice rest spot. Pink Floyd has a good deal to answer for when it comes to its influence the trance/progressive dance music of the very early 90’s – The Orb, most of the Wau! Mr. Modo acts, anything involving Weatherall or Martin Glover for example. But put to good use, that laid back post psychedelia can be effective. As for Dark + Long and Mmm Skyscraper I Love You are the cream or is that (Creme) that rose to the top of the genre. Electronic dance music made by musicians with an electronic music background looking to push boundaries and succeeding. Echorich – You evoke ACR and that was one of those bands that, sadly, I never heard back in the day. Must take care of that one day. But yeah, the first two tracks here were pretty awesome. They went pretty far in establishing a beachhead of goodwill for me to investigate further. The first track on an album has a lot of impressions to make, and an album that starts out by pressing my buttons of negativity [like Róisìn Murphy’s “Ruby Blue” did with the extreme buzzkill of her singing style on “Leaving The City”] makes me very likely not to delve further. The lovely paintings on that album resonated with me enough for me to give it further chances. It took several attempts to listen to make it through and discover the many delights of that album. “Dark + Long” and “Skyscraper” manage to create moods and worlds effectively. I prefer them to the wan dance rock of Underworld MKI, which was much blander, even as they trafficked in genres that were, on the face of it, more resonant with me than techno/trance. That’s an interesting and fair appraisal. I’m surprised that “Skyscraper” didn’t have more of an impact – to me it’s their first epic, a wide-eyed journey – but “Surfboy ” and “Spoonman,” while I enjoy them, aren’t the highlights of the album. “Tongue” is indeed the turning point – and I’m looking forward to hearing what you have to say next! cdave2 – Well, I really loved it. It’s a killa example of progressive trance that makes me totally enjoy its full 13:07 length. It overcame a lot of potential obstacles that make me largely indifferent to its genre. Maybe my review came across as somewhat tepid, and for that I’ll plead that with about 35 minutes to write during lunch, what gets posted is strictly first draft. Often for the worse. Glad you enjoyed it! The intro, and the segue into the coda, get me every time. Since I can easily agonize for an hour over one sentence, I’m always impressed by your first drafts and delighted you’re sharing them with us. This is my favorite UW Album.Not every track works as you say but as a whole,it was the right LP at the right time for this genre.Darren Emerson was the key add on.UW MK1 was not for me whatsoever.I admit I am a fan of electronic music from that era.I was not into Pulp or Oasis.Check out the new UW Deluxe remastered box set of this LP.Many unreleased tracks and jams.It was always their longer material,plus 10 min mark and without vocals,that drew me in.Dark and Long is the one for me. I also cannot see the ACR comparison.Maybe a few late 80s ACR remixes.I was into ACR from the start.Still have all the Factory vinyl.I did not like their progression into Latin jazz but the first 2 or 3 LPs and 12″ versions were appealing. Jordan – using ACR as an example of what I was getting at was meant more of a touch point, a reminder of familiar sounds, rather than a full on musical comparison. Surfboy trades in a lot of the open, echoey sound that early ACR – like Knife Slits Water – was imbued with. 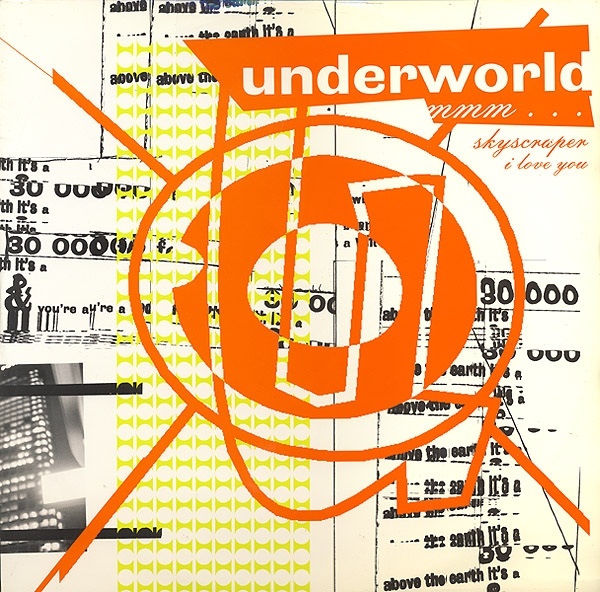 It’s a compliment, in my mind, to Underworld as I rate ACR as one of my top 10 favorite bands of all time and certainly the BEST thing ever released on Factory. I also find it funny that Darren Emerson is so important to the new direction of Underworld Mk. 2, yet he would become, for me, the thing I liked least about them as his involvement seemed to become overbearing. Jordan – “Dark + Long” was strongly redolent of Shriekback for these ears… That’s why it immediately grabbed me. There was more than a bit of Barry Andrews in Hyde’s delivery, and the vibe called back to the minimal drone funk of “Care,” which had long been a favorite album of mine. Albeit with a current coat of dance music paint.